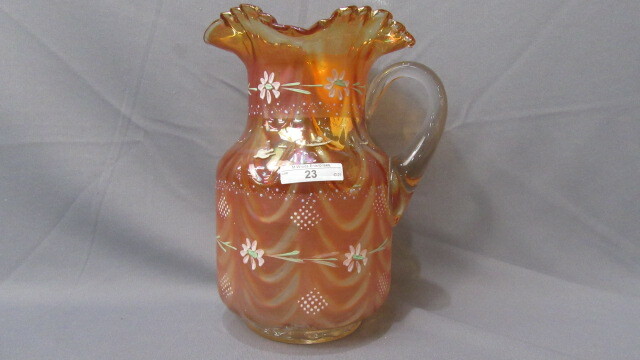 This pattern has a band of daisies around the shoulder of the pitcher but also gets its name from the diamond shapes made from dots on the body. 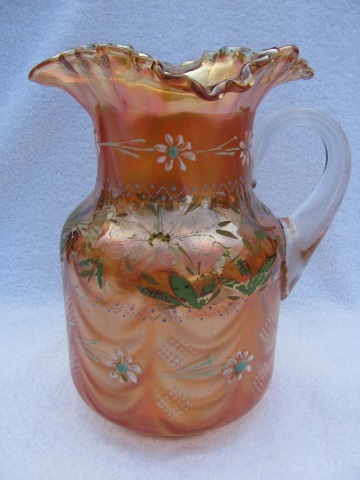 The pitcher has a drapery effect on the interior. 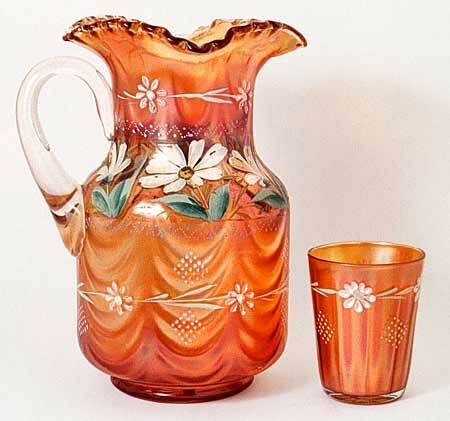 Only two records of these water sets selling, both marigold with pitcher and four tumblers–both with cracks near the handle (it's possible they were the same sets). 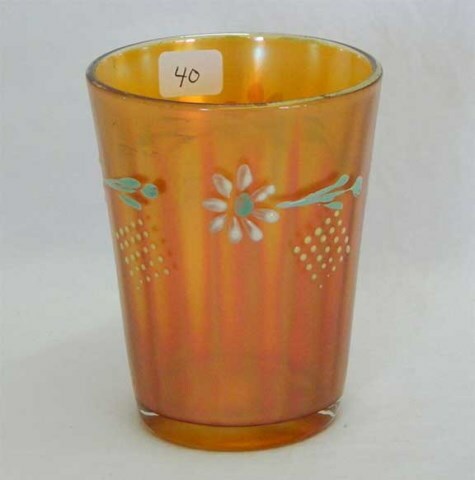 One sold for $105 in 1997, the other for $150 in 1998. 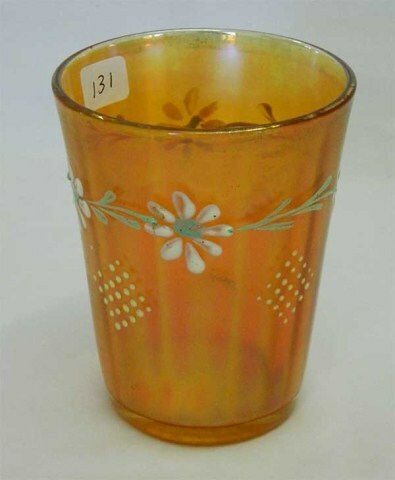 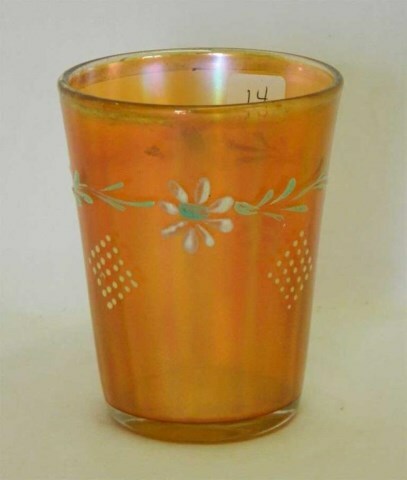 Marigold tumblers sold for $80 in 2002, $15 in 2012, and $15 in 2014.